The Following Loot Offers will be in this Flash Sale. Extra 5% Cashback* with SBI Debit card. Min. transaction Rs.7,500; Max. cashback Rs.500 per card account. Min. 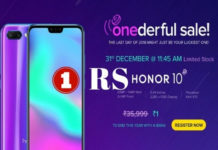 transaction Rs.8,999; Max. cashback Rs.500. Flat 25% Cashback Max supercash of Rs. 3,000. 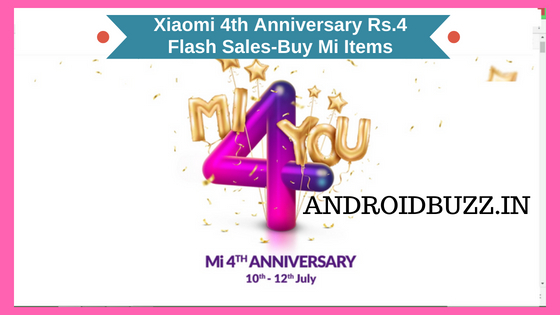 1) on the Sale day visit MI Website from here or visit MI shop app. 2) Blockbuster sale & Rs.4 Flash sale will be at above time. 3) You must visit MI before Sale Starts. 5) once you add the product in the card does not late in payment, pay as soon as possible. 6) with MI’s fast delivery service, You will get your product next day in metro cities. Read the ‘How to avail your prize’ to get your prize!